Caudwell childrens charity provides funding (maximum £2000/year) for ABA programmes to families who meet their eligibility criteria. 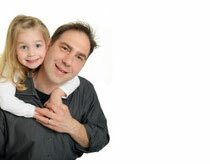 Dr. Carbone runs an introductory workshop for parents and therapists once per year in the UK. His workshops are excellent and should not be missed! Orchard toys sells a variety of puzzles and games that are both educational and fun! Different Roads to Learning, based in the USA, sells a variety of materials, books, toys, and training material to families running ABA programmes. The company ships internationally. LDA Learning sells a variety of educational resources for children with special needs.